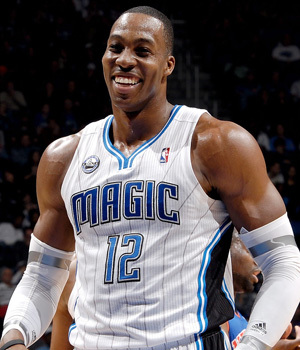 In the eyes of most fans, Dwight Howard is the fun-loving big man for the Orlando Magic. Every time he is in front of a camera, Howard has a big smile. Kobe Bryant, the star of the rival Lakers, once said Howard was a "goofball." While Dwight Howard is known for his sense of humor, he is all business when it comes to Royce Reed. Last year, fans got to know Reed through "Basketball Wives." She is the ex-girlfriend of Howard and mother of his child. Last year, Dwight Howard sued Royce Reed because she continued making negative comments about him. Howard has presented himself as a positive role model for children, earning sponsorships. Reed's comments, if taken seriously, could lead to him losing endorsements. Because of her negative comments, Dwight Howard sued Royce Reed for slander. Howard won the suit and the judge ordered Reed to pay the All-Star center, $500,000. One year has passed since Howard won the suit and now he is ready to collect. Royce Reed has yet to pay Dwight Howard and he is now demanding his money with interest. Dwight Howard said Royce Reed now owes him $551,606.74.